Clean Well Water Report: Where Should An Iron Filter Be Placed: Upstream Or Downstream Of The Well Pressure Tank? 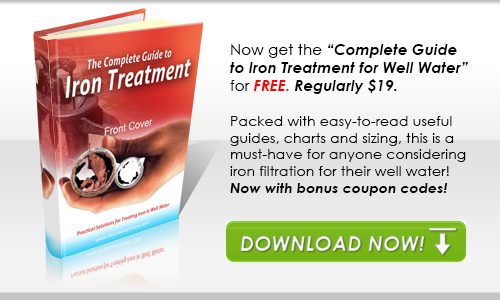 Where Should An Iron Filter Be Placed: Upstream Or Downstream Of The Well Pressure Tank? The iron filter needs to be installed after the pressure tank. If it is installed before the pressure tank, it will not be able to backwash automatically. The filter needs varying amounts of flow and pressure, and if it were installed before the pressure tank, the well pump would not automatically turn on, since the pressure switch is located on the pressure tank side of the check valve. Additionally if installed before the pressure tank, there would be a chance the water would flow backwards from the pressure and enter the iron filter control valve through the outlet pipe. Fortunately captive-air pressure tanks fill and empty through the bottom, so little or no iron sludge will collect in the pressure tank. Installation after the pressure tank gives the best result and will insure the system works properly. 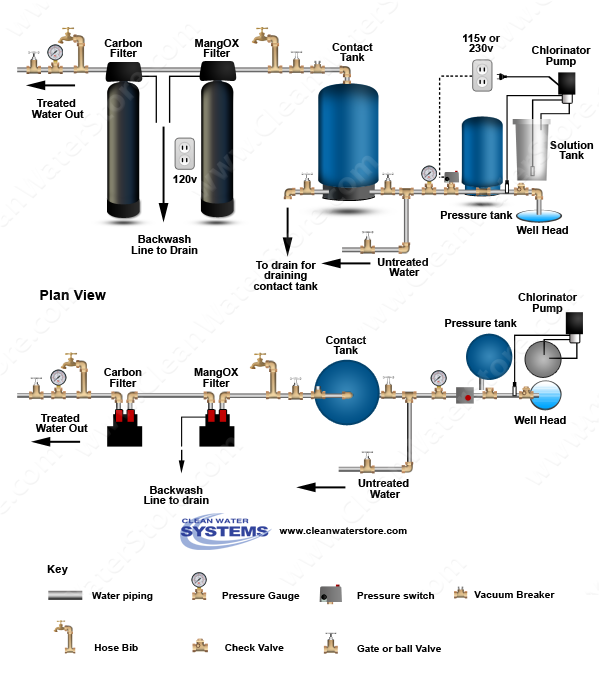 The diagram below is a schematic example iron filter system setup. If you have any other questions or need assistance, please don't hesitate to email or call us.